OFFC is a research and design studio that works with global brands, start-ups and research institutions. Combining technological experimentation with cultural understanding we create unique product applications that address the complexities of our future everyday lives. Our practice has two distinct parts: client work and research lab. While our client work focuses on translating emerging technologies into new products and services, our research explores the prospective future cultural implications these technologies will have. These insights guide and inform our client work by helping us to understand the transformative potential of today’s emerging technologies and inspire a distinct awareness for our future everyday lives. This combination of technological experimentation and cultural understanding positions our work at the perfect vantage point to create product applications that address the complexities of our future lives. We have worked with global brands such as BBVA’s Innovation Center and Audi’s data intelligence team to create award-winning product applications. For our clients, we create unique product and service applications, undertake explorative research projects and devise future-oriented strategies that infuse technology-driven development with a heightened cultural awareness. We advise global brands, start-ups and cultural institutions to shift their point of view on technology and open up new ways of thinking that directly inspire tangible product outcomes. 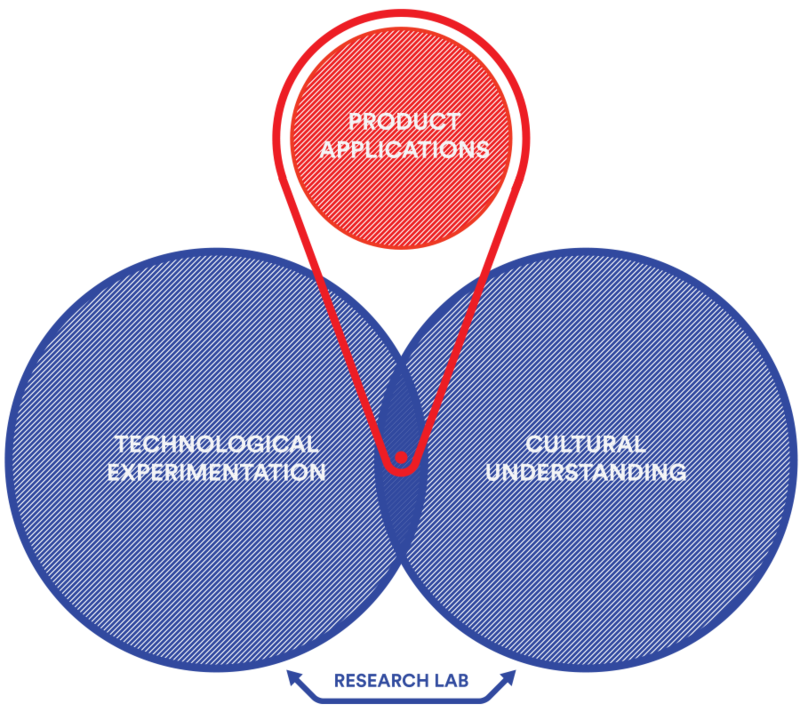 Through cultural research and technical experimentation we help companies to identify new opportunity areas for today’s emerging technologies. Through unique products and services we transform high level opportunity areas into tangible applications for tomorrow. Through strategic advice we work with clients to infuse their product development with a heightened cultural awareness to open up new viewpoints. 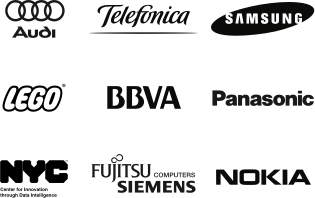 Recent projects include creating a range of data-driven product applications for BBVA’s Innovation Center, uncovering new product potentials for Audi’s car data and inserting new data thinking methods into Telefonica Digital’s innovation processes. For our projects, we work with a wide range of experts and specialists from the fields of programming, social sciences and research – culled from a network of well-respected practitioners. Whether research, bespoke products and services or enabling new viewpoints and perspectives: Our projects are always underpinned by a holistic and strategic view that is attuned to the complexities of our future lives. Our research focuses on exploring the prospective cultural impacts of today’s emerging technologies on our future everyday lives. The introduction of emerging technologies into our everyday existence will shape and change our behaviors and interactions in ways that are yet unforeseen. Our own research gives us the space to explore how our everyday lives will be transformed if current trends around today’s emerging technologies continue. Here, we prototype new methods and ways of thinking about technologies – technologies on the cusp of entering everyday life – and engage others into discussions around their potential future impacts. How will today’s cities deal with the complexities arising from the ‘digitization of public space’? How will the increasing quantification of our behaviors affect our everyday interactions? What kind of ‘Messy Realities’ will we encounter in the Internet of Things? How will our everyday social and cultural subtleties be adequately addressed in our digital futures? Our research gives us the space to explore questions such as these and challenge contemporary notions of how technology is experienced. We experiment with a wide range of methods like participatory design probes, workshops, prototypes and fictional design to inject our work with new perspectives – perspectives to be mindful of when designing for our future selves. Selected clients, awards, press and exhibitions. OFFC was established by Daniel Goddemeyer to provide a collaborative framework for exploring the cultural implications of today’s emerging technologies through client projects, commissions, art projects, and workshops. Based around a strong core, OFFC is open to a broad spectrum of collaborations with outside experts. Throughout his career, Daniel has taken a key or leading role in a wide variety of projects for agencies like FutureFarmers, ReD Associates, Antenna Design, and IDEO. Beyond his hands-on work, Daniel also likes to spread the word at conferences like IDSA and Epic, via his studio MFA class ‘Urban Fictions’ at New York City’s School of Visual Arts, by advising students on the Expert Boards of Copenhagen’s CIID, or through international exhibitions. He has received several distinctions and awards from the Art Directors Club, the Red Dot, the German Design Prize, Kantar Information is beautiful award, and the Industrial Designer Society of America.